Accessories Included with all Kamado Joe! Receive the Kamado Joe Accessory Package with any Kamado Joe Grill. Package includes heat deflector, flexible cooking rack, grate gripper & ash tool. This is up to a $180 value! Free shipping offer! 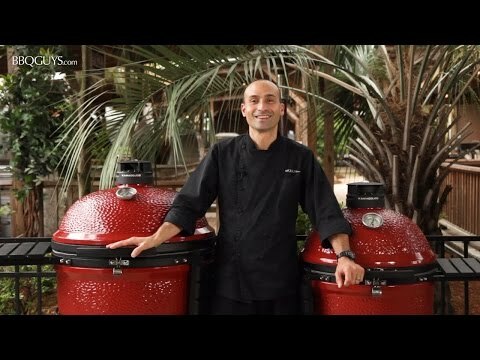 Kamado Joe presents the perfect grill for any backyard barbecue, with the Joe Junior ceramic Kamado grill on stand. The Joe Junior Kamado is a grill, smoker and oven all in one, and can be ready to cook in 15 minutes. This Kamado grill is constructed from 1 1/4-inch thick ceramics, allowing it to hold heat and maintain temperature control, burning less fuel and saving you money. The thick, porous ceramic keeps moisture in your food, producing incredibly tender food with a true wood-fired flavor. All Kamado Joe ceramic grills are crafted with a heat-resistant ceramic coating, their own special recipe, to keep your grill looking as good as it performs. You can enjoy the luxury of cooking on 149 square inches of grilling area, with a commercial-grade 304 stainless steel hinged cooking grate that allows you to easily add more charcoal. The stainless steel draft door allows you to control the airflow and temperature within the grill. The lid hinge is made of powder-coated galvanized iron and the fire grate is made of powder coated cast iron for durability and superior heating performance. The built-in thermometer allows you to monitor cooking temperatures, even when the grill lid is shut, and the powder-coated cast iron grill stand has handles so that you can take this portable unit with you camping or tailgating. The black finished HDPE handle provides a cool, comfortable grip. The KJ13 Joe Junior Kamado grill also comes with a free grate gripper, ash tool and heat deflector for indirect cooking. Dimensions With Stand (in inches): 19 3/4 W X 20 3/4 D X 27 H. Dimensions Without Stand (in inches): 16 W X 20 3/4 D X 22 H.
For the Kamado Joe warranty to apply, you must register your grill. All ceramic kamado parts are warranted to be free of defects in material and workmanship for as long as the original purchaser owns the grill. All metal and cast iron parts are warranted for a period of five (5) years. The heat deflectors are warranted for a period of three (3) years. The thermometer and gaskets are warranted for a period of one (1) year. Customer images featuring this product. Love this grill. I like that it's small enough to keep indoors when not being used. I cooked a thick ribeye steak on it. The steak was the best I ever made. Big enough to cook 6 chicken thighs. Still learning the temperature control. I bought this grill last summer (2016) and was a little skeptical of the size compared to a larger grill dome I had previously owned and decided to sell it when I moved a few years ago. Just to big and heavy with the the table I built for it. I built a cedar table for this little Joe and used the stand for a bird bath. For my wife and I this grill works great for our needs. I can put on 2 racks of spare of baby back ribs with.cutting each rack in half. 7-8 lb. 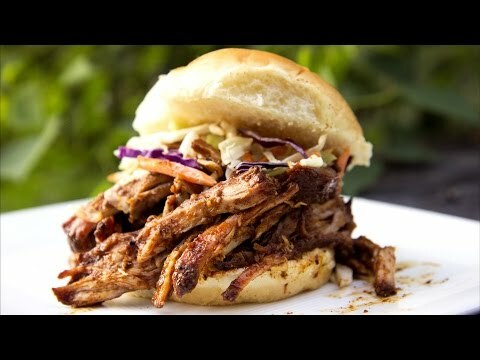 pork shoulder with no problem. What's really nice and easy is the temp. control on this grill. Once you get the hang of it you can dial in 225-250 degrees and it stays there. Maybe a small adjustment on the daisy wheel from time to time as with any grill. I've found the easiest way to slow cook is to get your lump charcoal started in the grill and only get about 1/3 of the coals fired up in the beginning. Put the heat deflector in, close it up with the top and bottom vent open halfway. Watch the temp and when it hits the desired temp shut the vents down a little more to stabilize the temp. The unlit coal will just feed slowly from the lit coals and won't give you too much heat all at once so your constantly trying to get the heat back down to where you want it and your burn time on the lump will last much longer. Just my 2- cents but it may save some frustration to a newbie. Little Joe , Money well spent. This grill is just the size my wife and I need, holds a 12" pizza, and is a good size to smoke meats for extended meals for 2-4 Takes about 20-30 min to get lump charcoal lit with an elect. starter which was a learning curve for us, no big deal. The methods of temp. control work well and I found all I needed to do is try the process. Quality of the grill is Excellent. Highly Recommended. It is the perfect size for a household of 2 or 3 or for those who donâ€™t grill a lot. Works just like its bigger brothers. It is however awkward to move due to its size. Itâ€™s a back breaker to walk with. You really need two people. One on each handle. I bought a heavy duty garden cart to move it from the patio to storage when not in use. I wanted a smaller grill as I am downsizing, and the kids are out of the house with their own families now. Purchased the Joe Joe Jr because of its size. It comes with its own stand....but!....the stand is not portable. You have to lift this rather heavy 70 pound egg to move it around. What would it not have lockable wheels with this stand....it would make so much more sense! This is very inconvenient and the biggest drawback to this grill. Where can I get the 10" heat deflector for my Kamado Joe Jr.? I don't find a replacement stone in the accessory section of your website. Are they ever gonna make a portable stand with wheels? Hello. We have not yet heard anything about Kamado Joe producing a stand with wheels for the Joe Jr. However, if you subscribe to our email list, we can keep you posted on new product offerings. If the Joe Jr. is ever offered in a stand with wheels, you'll be notified when it becomes available. 1 1/4" 3/4" 1 1/2" 1 1/2"